Using a torch tor melting (he silver In a ceramic crucible. The design is marked on one lace and Itien carved Into the surface. A gate or channel must be cut in both surface* to act as a funnel lor the liquid metal. The surface of both molds Is heated and smoked or covered with a layer of carbon or sool. The silver should look like this }ust before '¡pouring. 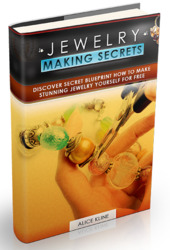 The excess silver Is then sawed olf and the casting tiled and polished. 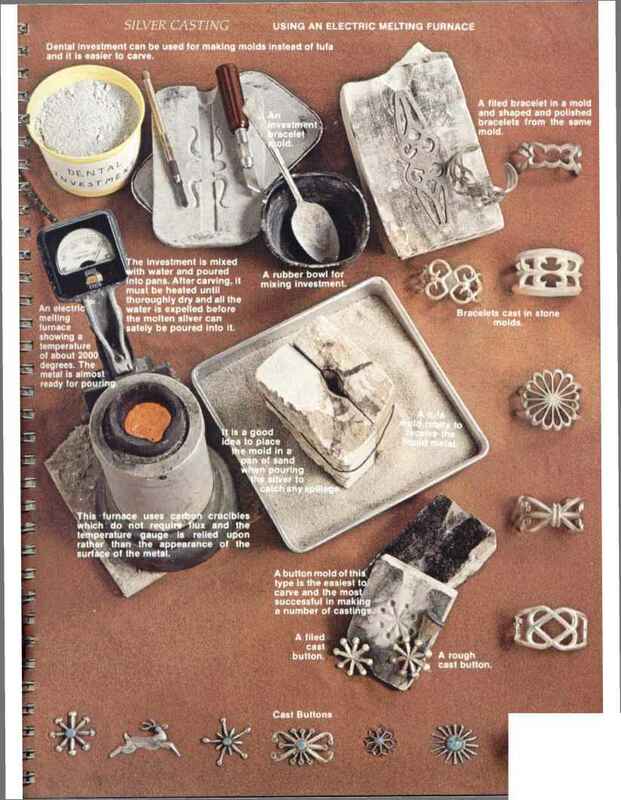 The Navajo cast silver ornaments by making a two-piece stone mold of tuff or tufa which is found in many places on the reservation. Two pieces are cut with knives, files or a hack saw large enough to accommodate Ihe object to b* cast and from 1-1/2 inches to 2 Inches thick. They are flattened on Ihe facet first with a file or rasp and then by rubbing together until they fit perfectly. 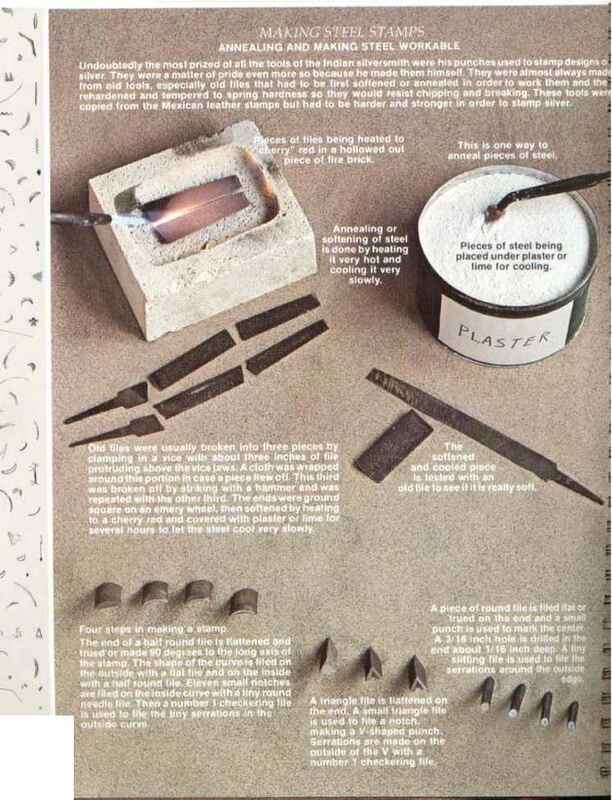 Bracelets cast In stone molds. Pieces ot steel being placed under plasleror lime lor cooling. 'i The rhe nnbressions oi Indian designs around the hordes were made by stamii^belongihg to a number ot early silversmiths . 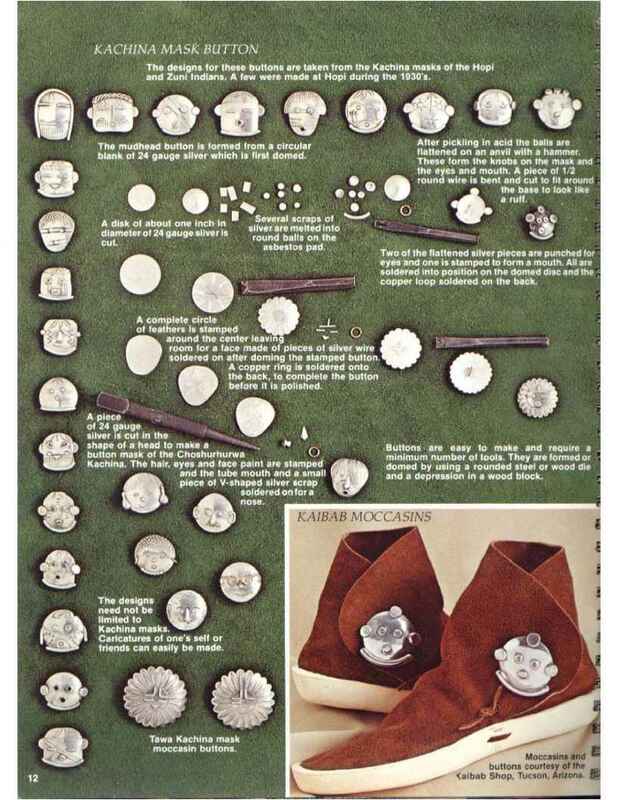 How to make tufa molds for silver concho?